Cotton is a darling male. He was born on January 30th, 2019 to the beautiful rescue Mama Julia. 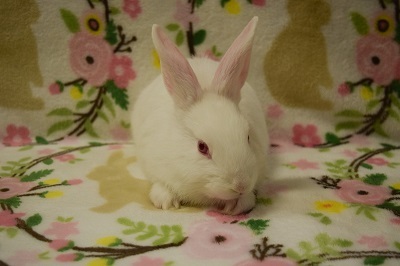 Cotton will be available for adoption at our April 6th Adoption Event from 12:00pm to 4:00pm at Petco 855 East Bidwell Folsom, CA (Next to Sprouts & Office Depot). 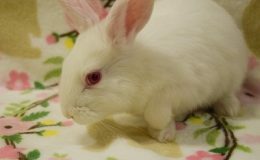 Cotton would love to be adopted with one of his siblings or his Mama or as a friend for another spay/neutered rabbit. 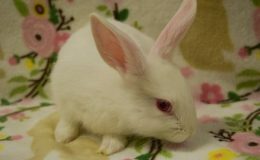 The Adoption Donation is $55.00 for one rabbit or $100.00 for two, plus a deposit, refunded after the bunnies are spay/neutered at our expense by one of our contracted certified exotic Veterinarian’s. We adopt to responsible adults who are ready for a 10 to 12 year commitment. We do not adopt rabbits for children. 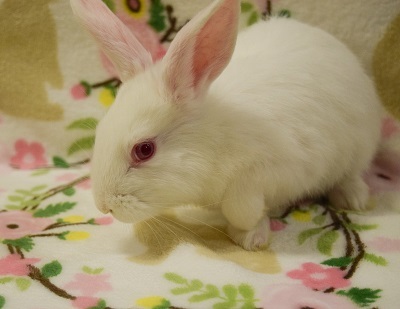 We do not adopt rabbits for Easter. We adopt to indoor homes only. We do not consider the garage, a barn, or the laundry room as adequate indoor housing. 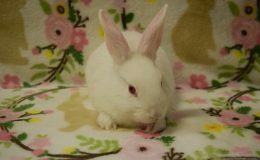 Rabbits are very social animals and like to be housed in the most active part of the home. 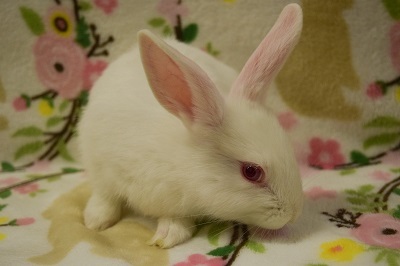 Cotton was adopted with Rosie 4/2019!